Well, there's not a lot to really be said about today except that it's over. I got to spend it with my best friend, there's that. 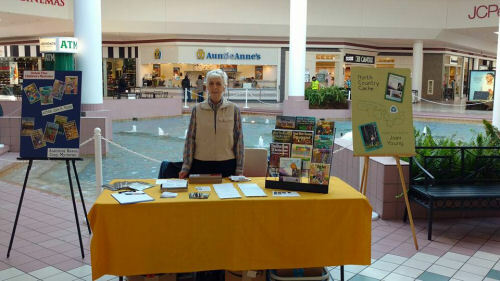 I'm a little closer to deciding that I'm not going to do malls. We mall-walked for about two miles before the mall opened. 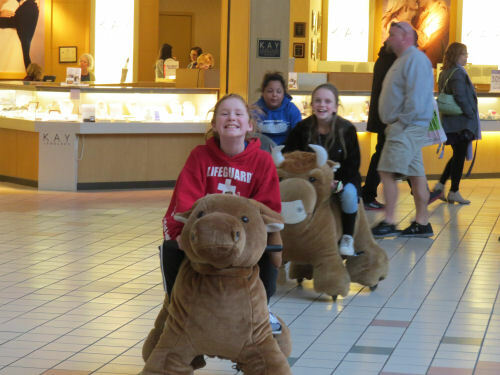 Hey, malls now seem to have these big motorized stuffed animals that you can rent and ride around. This picture was on Facebook earlier. I had a nice setup for my table. We had the central pool at our backs. You might think this was a good thing. It was actually surprisingly cold. But mostly I thought it was funny. There were steps leading down into the water (that had unsecured plastic chains on plastic posts for safety), but it sort of looked like it needed Greek goddesses, or mermaids lounging around, or perhaps free fishing day. It was not the most artistically designed water feature we've ever seen. There were some historic posters around on the walls. 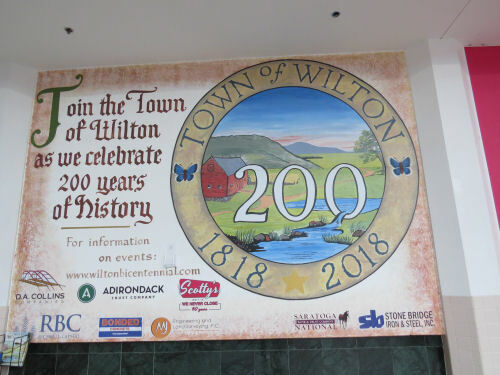 Mostly about the horse-racing history of Saratoga Springs, but this one was for the town of Wilton. I just laughed at this. So, the mall is in real trouble. There were lots of empty stores. Traffic was light, and only a few vendors did well. Most of us did terrible, and some of them aren't even coming back tomorrow. I'll be there. Maybe tomorrow will be better. 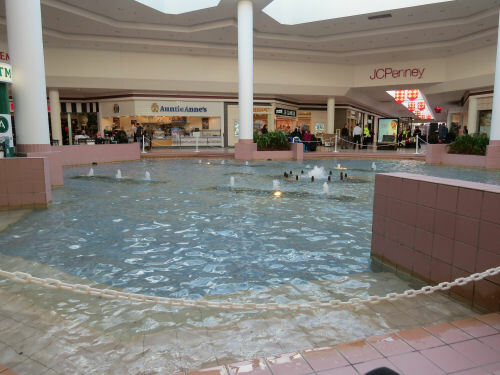 I would think that water feature would be a HUGE liability for the mall. Can't you see some kid swimming in there? I can't believe they have that in this day and age. Yeah...malls are dead. We don't go anymore as it is a draw for no-goodniks, gangs of thugs fighting and shoplifting and even a shooting a couple of weeks ago. And this is NOT in a dangerous neighborhood! The bad guys are traveling to come here and the neighborhood people just don't go. I expect it will close soon. That pool is rather large. The closest mall to us has several fountain areas but nothing that large. Too bad it wasn't a good day.